Fallen cars, pieces of broken glass, and other falling objects may harm people during a train derailment. In case the accident happens in a highly populated area, other issues such as collisions with vehicles, other trains, and fires may happen after a train derailment. 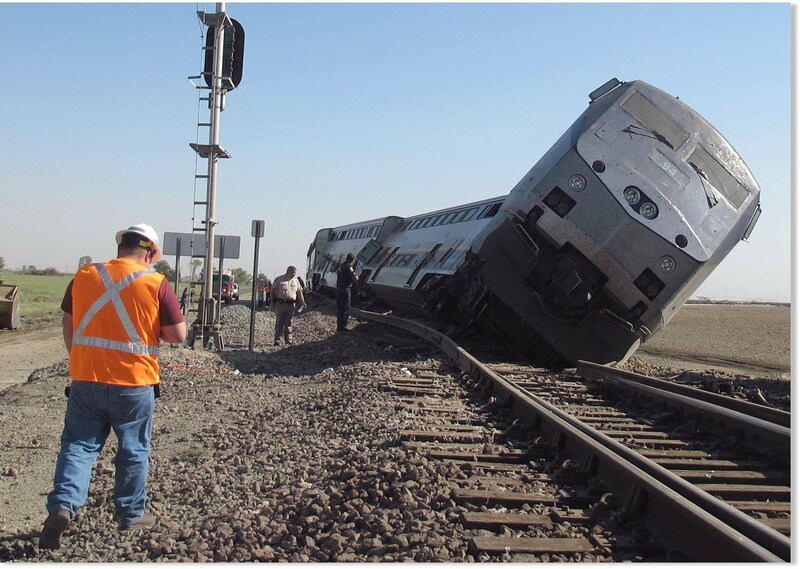 Poor judgment: Some train derailments are caused by an engineer’s poor judgment and choices. Such calls are always disastrous especially when high velocity is involved. Other factors such as speeding up instead of decelerating or delay in using brakes may exacerbate the situation. Technological malfunctions: While some trains have sensors that are designed to kick in automatically, sometimes they can fail. If the transportation company is aware of faulty parts that can cause failure to these sensors and other parts of the train, it should step in and correct the faulty parts. Otherwise, train derailment caused by faulty systems may lead to the negligence claim against the responsible company. If you or your loved one gets involved in a train derailment accident, it’s important to hire a qualified, experienced train derailment lawyer to help you understand your legal options. Such attorneys understand train accident lawsuits better than you and can offer you legal advice. The lawyer can help you initiate personal injury claims in case you were injured during the derailment. In most cases, the company owner (a third party) may be liable for the damages caused by train derailments and other related accidents. A close examination and intensive investigation are necessary to determine all the causes of the derailment. A class action lawsuit is another way of compensating issues related to training derailment. When a large number of passengers have suffered injuries, this may be the most effective way for the victims to file a lawsuit against the company that has strong legal representation. Class action lawsuits permit groups of individuals who have been injured due to a similar set of circumstances. This type of lawsuit allows the class members to split the cost of legal representation. However, such cases are complex and may require more time to resolve. Wrongful death claims are also a possible outcome associated with fatal derailment accidents. Such a lawsuit is filed against the person that may be held liable for the death of a train passenger. The state law defies the parties who have the right to bring such civil action. Besides, the individuals who can bring wrongful death lawsuits include a spouse, the executor of the state, and close relatives. In most cases, the train driver may be held liable if their actions caused the accident that resulted in the injuries. The driver’s actions are often imputed to the employer. When electric or mechanical failures occur, the manufacturer or the owner may be held liable. Note that the primary causes of the train derailment play a significant role in determining who should compensate the victims.